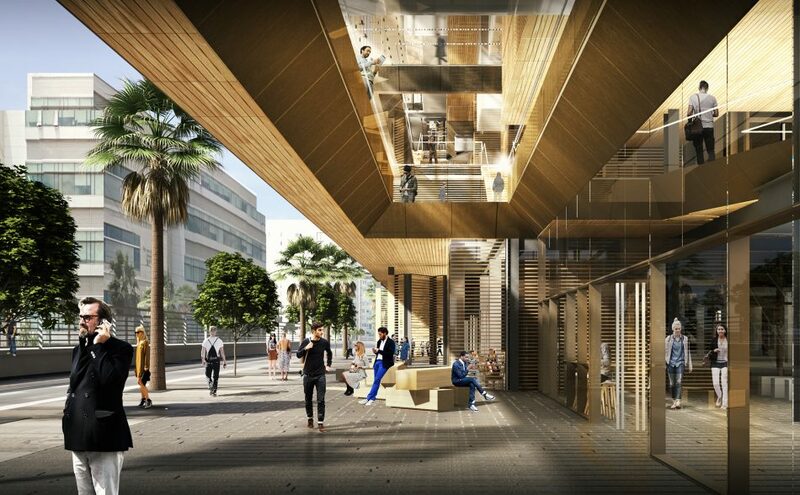 Bradac Co assisted Uber in evaluating the potential sites for a campus and also with setting up a nationwide design competition for the exterior design of this world class headquarters. Bradac Co is serving as Uber’s representative for both the tenant and core/shell work with Alexandria as the development manager. The two structures, an eleven-story tower connected to a six-story building with diagonal glass bridges, represent a living, breathing city. This highly complex project uses an unconditioned “solarium” space with an integral BMS system which allows for automatic opening and closing of the operable facade windows for natural ventilation. 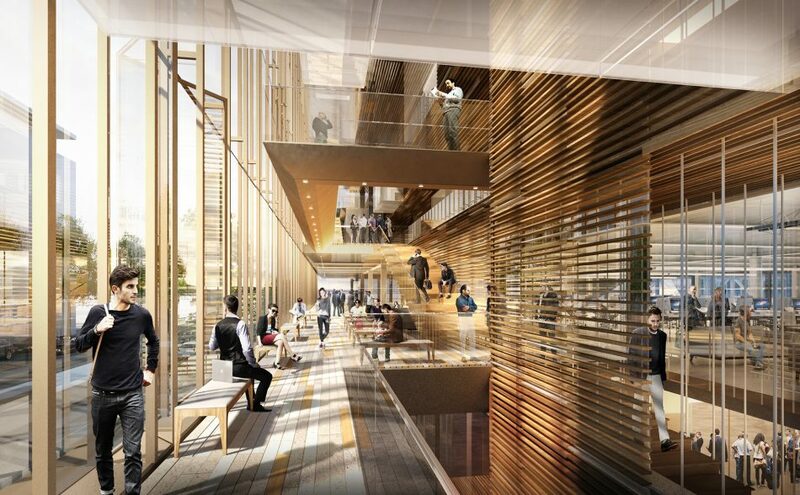 The design of the interior spaces will take you through a fabulous “tour around the world.” The almost fully transparent facade allows for the buildings to interact with the city around it, while the interiors were inspired by the urban street grid with a series of interconnected walkways and gathering spaces.